Netflix brought out the Holiday Armadillo to calm down 'Friends' fans worried that the show might be leaving its service. Fans of the show "Friends" can breathe a sigh of relief, the hit sitcom will not be leaving Netflix on January 1 after all. Eagle-eyed viewers over the weekend noticed that Netflix had added an availability end date to the "details" section of the show's landing page. As of Monday afternoon, that expiration date has been removed and Netflix chief content officer Ted Sarandos told The Hollywood Reporter that the show's "departure is a rumor." Netflix later tweeted that "The Holiday Armadillo has granted your wish: “Friends” will still be there for you in the US throughout 2019." An executive familiar with the show's contract told USA TODAY that there are no immediate plans to drop the show. There has been no official explanation for why an expiration date had been added to the show's Netflix page. 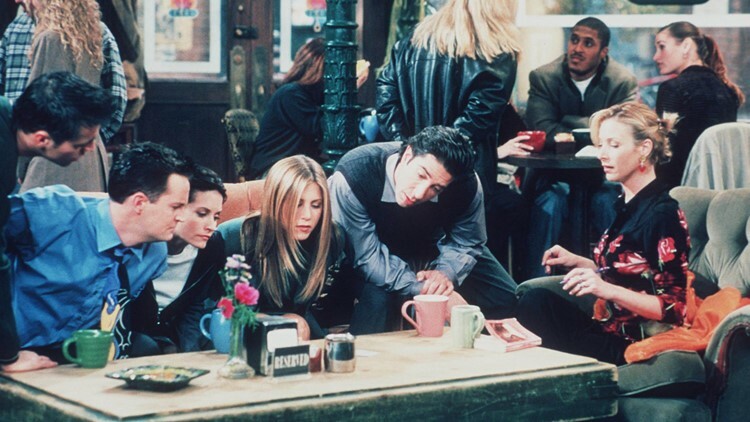 The initial rumors of the 'Friends' departure comes just a few months after Warner Media announced that it was planning on launching its own streaming service. There is still speculation that since the show is a Warner Bros. TV property, they will eventually put it exclusively on the Warner Media streaming service. Warner isn't the only company to do this. Disney has also been planning to launch its own for a while as well. The NBC sitcom premiered in 1994 and ran for 10 seasons. It came to Netflix in 2015, and is still in syndication, so fans can still catch episodes on TV. Friends fans did not take it well when they thought the show was leaving, and many went on Twitter to express their disappointment.